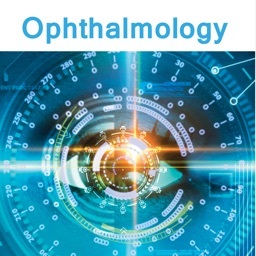 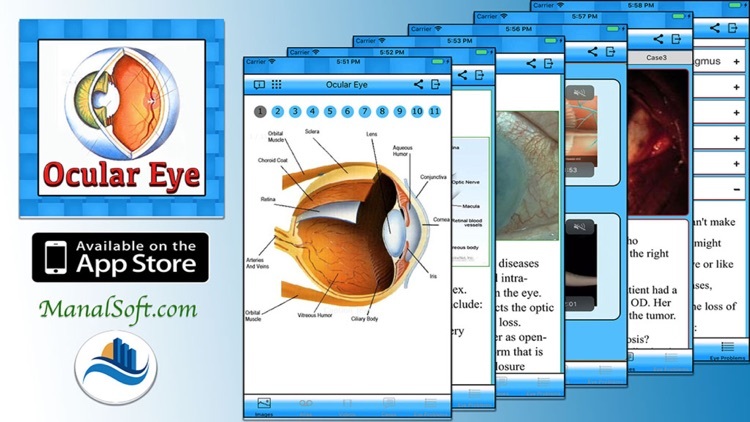 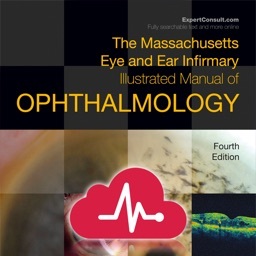 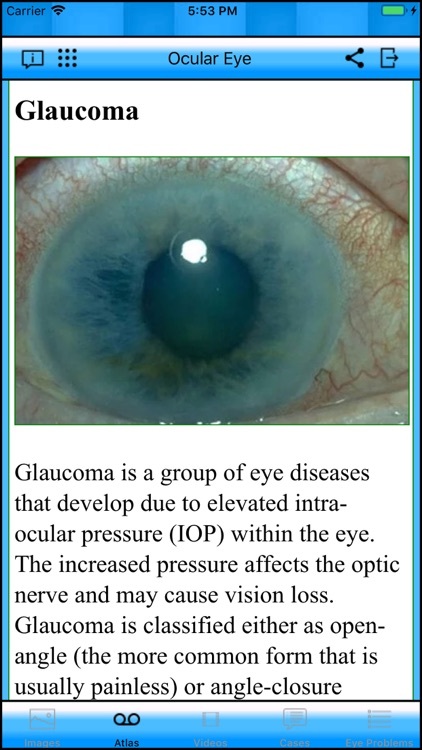 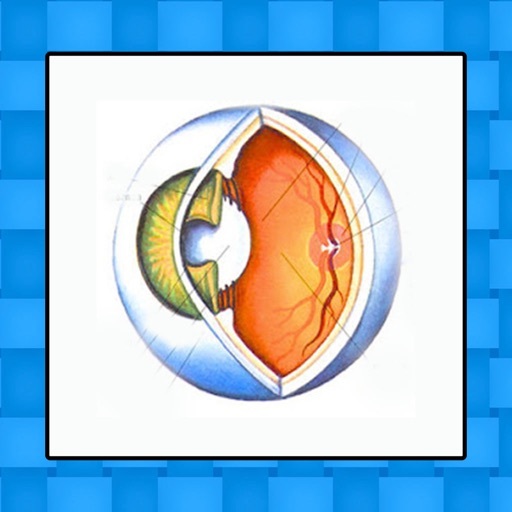 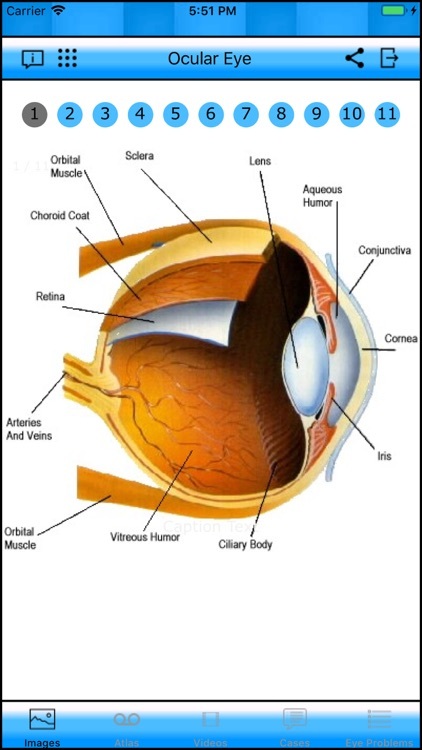 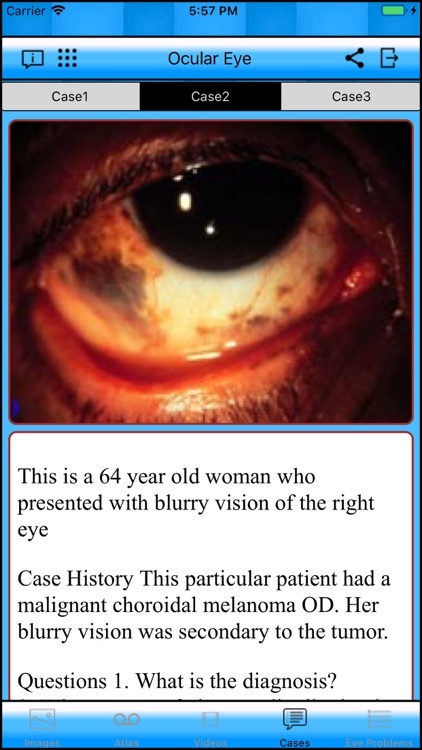 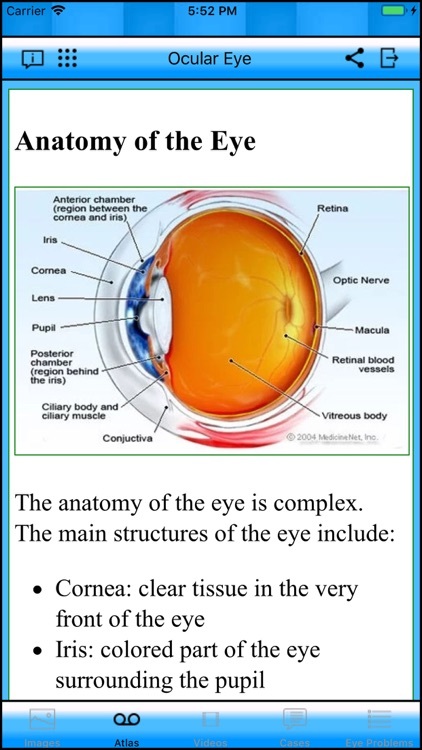 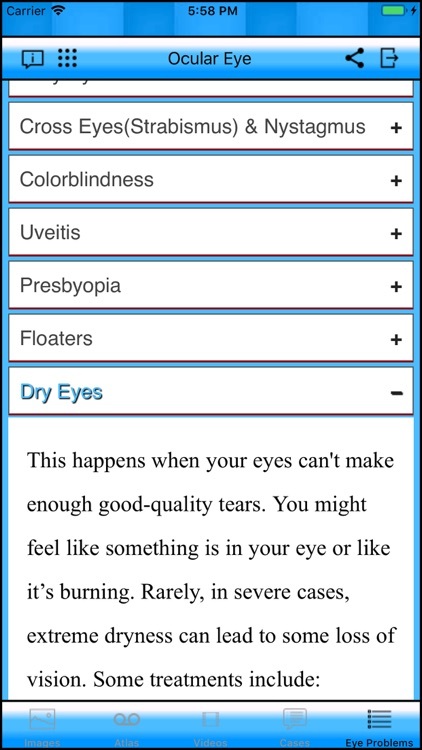 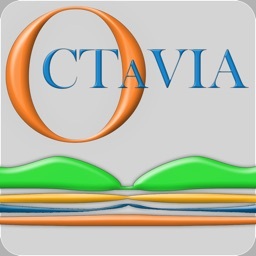 This app covers lots of aspect of ophthalmology including eye anatomy, common eye problems and diseases, study cases, instructional videos, descriptive images and terms definition. 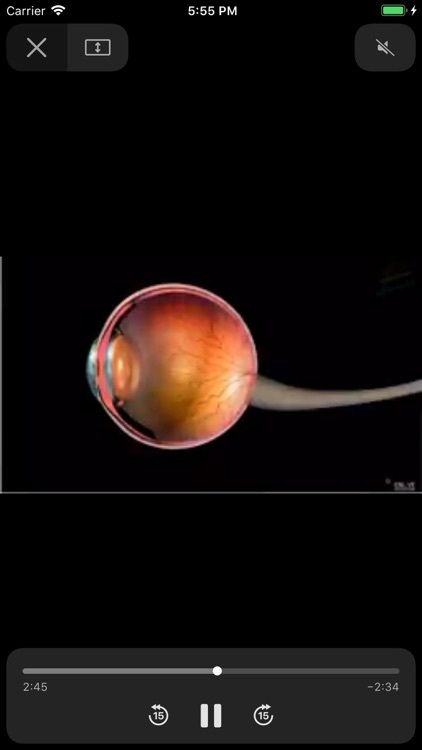 All contents are offline. 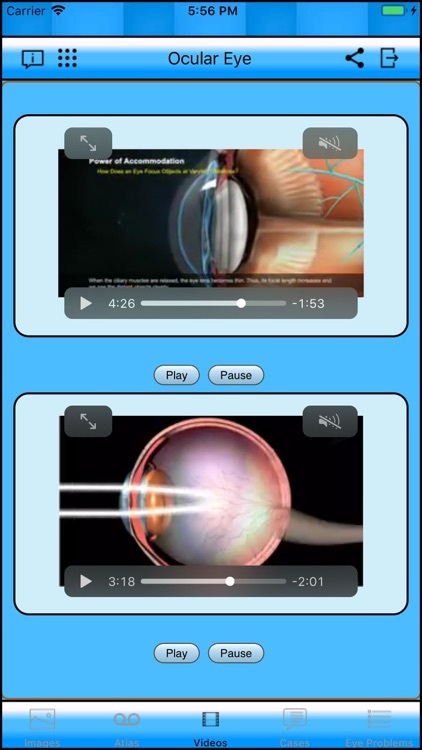 It support zooming in all images and text. 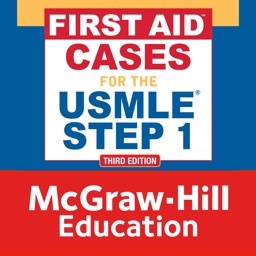 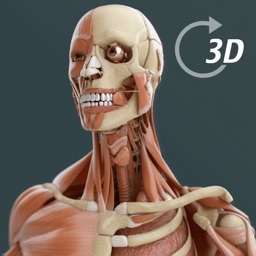 It is a great help for medical students, doctors and patients.